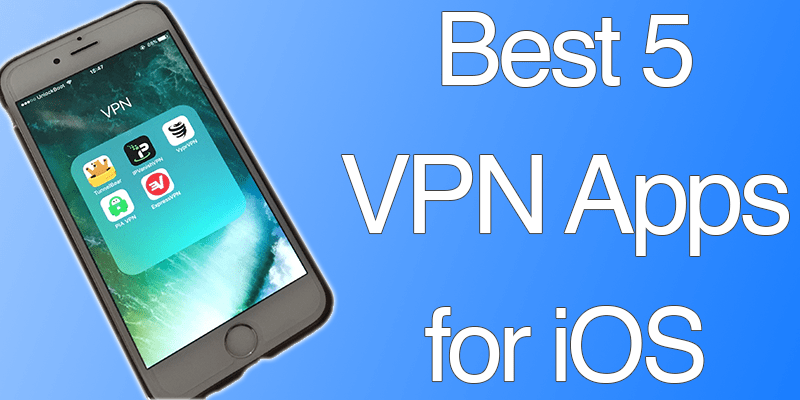 For those who use public WiFi that have the risk of hacks or stream Netflix and other similar sites in countries where they’re blocked, the best VPN apps for iPhone are available to protect your information from man-in-the-middle and other adversaries as well as mask your real location. It’s always good to do a bit of research and go with reliable companies, ensuring that the VPN provider isn’t selling your information to third-parties. 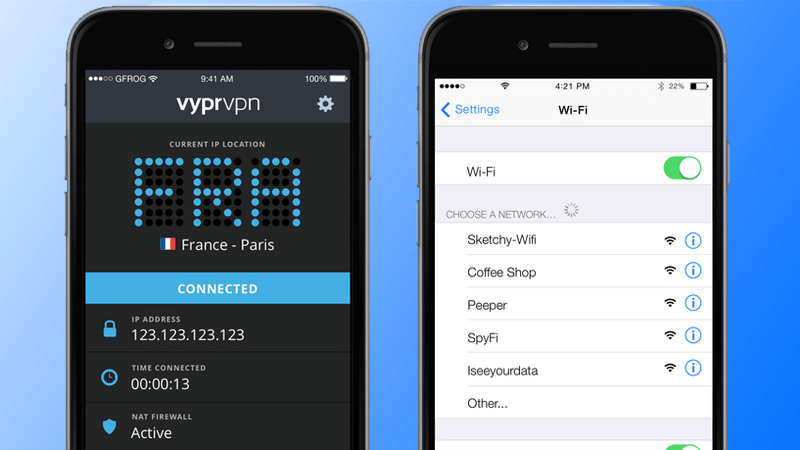 If that’s something you can’t do, use one of these best VPN apps for iPhone. This VPN allows you to connect to servers in 78 countries. No logging policy is there, and you get 256-bit encryption and OpenVPN. iOS users can tap to connect, and log in from 100 regions. 1 day free trial is offered. ExpressVPN pricing starts at $13 a month, $60 for 6 months, and $100 for 1 year. Users can connect to 1 smartphone and 1 PC device simultaneously. Download ExpressVPN from App Store. This service offers 27 global locations which include a few regional options for a wide range of locations. It comes with OpenVPN, fast speed and 256-bit encryption, though 128-bit encryption is recommended. It’s a US-based service, and promises not to log usage. iOS users can log in, choose a destination, and start surfing. The price is $7 a month, $36 for 6 months, and $40 for a year. In above 60 countries, IPVanish has 180 servers. It offers zero logging, 256-bit encryption and OpenVPN. P2P traffic is also allowed. iOS users can browse popular locations and countries. The app can be tried for free for 24 hours. Subscription plans start from $2 for 7 days, and go to $10 a month, $27 for 3 months, $75 a year. Unlimited bandwidth is offered. This VPN offers you 50 locations. Golden Frog owns its entire network, so you get all the privacy you need with no data sharing, even though minimum logs are kept for 30 days. OpenVPN and 256-bit encryption is offered. Configuration for iOS users is a breeze with automated preferences. Extras called Dump Truck (secure storage) and Chameleon (disguised streaming) are also included. Pricing starts at $15 a month or $100 a year for Pro services. The premier services is $20 a month or $120 a year, and comes with 3 connections. 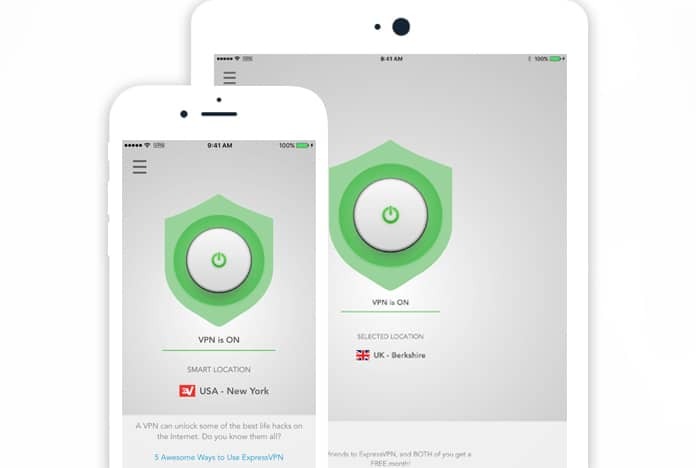 Install VyprVPN from App Store. 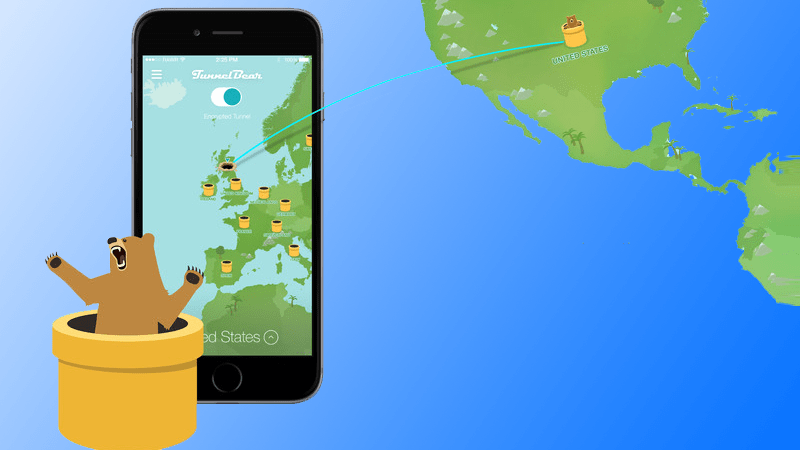 Loaded with cute puns and bear graphics, TunneBear has servers in 15 major countries and offers 256-bit encryption as well as minimum logging. You get 500 MB per month free data. Premium subscriptions are $4 a month or $30 a year for 1 devices. More expensive packages offer 5 simultaneous connections, and start at $7 a month or $50 a year. Download Tunnel Bear VPN App for iOS from App Store. Remember that the OpenVPN Connect client may need to be installed to utilize OpenVPN protocol on iOS. The apps currently work with other protocols like IPSec.